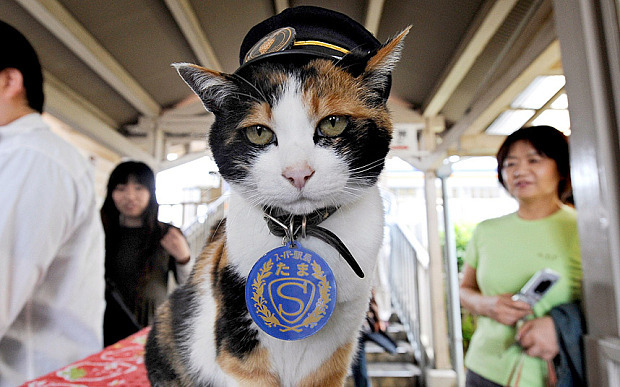 The calico cat was appointed stationmaster at the Kishi station in western Japan in 2007 and died early last week. Now she has been mourned by company officials. Tama the stationmaster, Japan’s feline star of a struggling local railway, was mourned by company officials and fans and elevated into a goddess at a funeral on Sunday. The calico cat was appointed stationmaster at the Kishi station in western Japan in 2007. Donning her custom-made stationmaster’s cap, Tama quietly sat at the ticket gate welcoming and seeing off passengers. The cat quickly attracted tourists and became world-famous, contributing to the railway company and local economy…..
Wakayama Electric Railway president Mitsunobu Kojima thanked the cat for her achievement, and said Tama will be enshrined at a nearby cat shrine next month.Before Tama’s arrival, the local Kishigawa Line was near-bankrupt; and the station was unmanned as it had lost its last staff. Mr Kojima said appointing Tama as stationmaster was initially an excuse to keep the cat at the station. “But she was really doing her job,” he said…..
During her tenure, Tama had contributed an estimated 1.1 billion yen (£5.65 million) to the local economy, Mr Kojima said…. The cat had climbed the corporate ladder from stationmaster to “ultra-stationmaster” and vice president of the company before receiving the additional title Sunday of “honourable eternal stationmaster”.Tama will be succeeded by another calico cat, Nitama, now an apprentice stationmaster. Read it all in the Daily Telegraph here. However, apart from the obvious modelling opportunity for our Japanese modellers, could this be the way forward for ESNG? Watch out Allan – perhaps I’ll nominate our budgie for ESNG chairman at tonight’s AGM – and wait for the people and millions to pour in. Even millions of yen would be OK. However, I’m not going to set out the relative merits of the candidates – I may lose one, if not two, old friends. 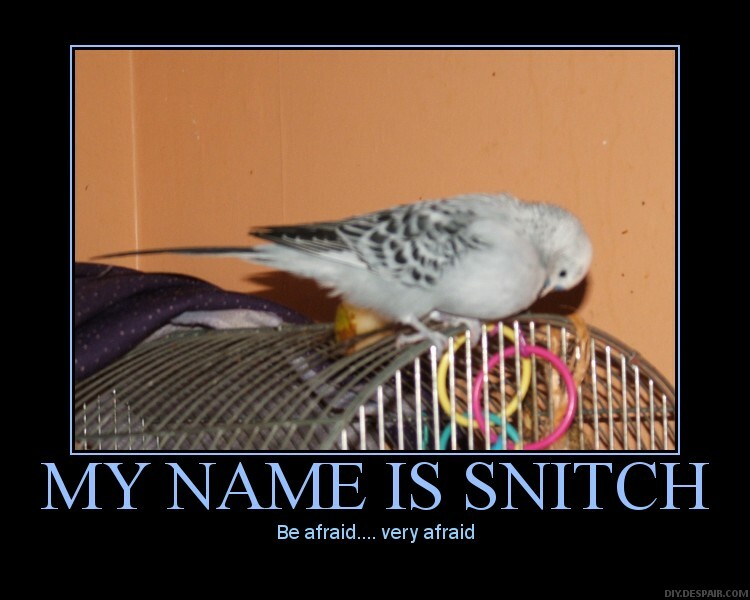 I’d only comment that the budgie can’t make such a good cup of tea….. This entry was posted in ESNG, ESNG meetings, Inspiration, Out and about and tagged ESNG, ESNG Meetings, modular layouts, N gauge. Bookmark the permalink.